A short-term relationship! 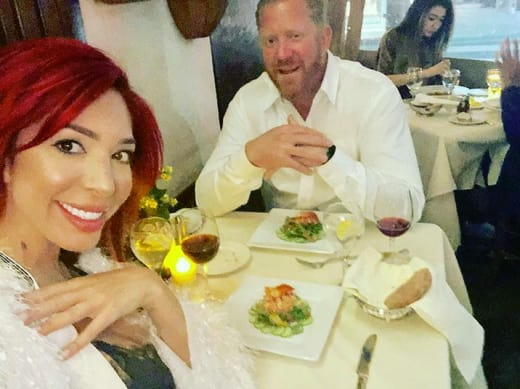 It's only been a week that Farra Abraham confirmed her relationship with a stuntman Aden Stay and now they have left us shocked as the couple has parted ways, multiple sources have confirmed. The 26-year-old Teen Mom OG star took to media to announce that she and her boyfriend have called it quits. I need to watch who I date as many men target me for my success. I’m focused on work right now, between TV and film projects. I wish him well but I’m not rushing into relationships. I take my time to do it right for myself and for my daughter. Being the best parent I can be is my priority. Farrah and Aden's break up was first reported by the Rader Online. As previously reported, on Thursday, March 1, Farrah revealed that she was dating the Game of Silence actor saying that she was lucky and blessed to have a partner like Aden. Aden is amazing. I’m a lucky woman and I feel blessed. We have just started our relationship and I feel like I met someone who is amazing. I love that he’s Hawaiian, an amazing father, business entrepreneur and we have many similarities. I can’t say enough great things about him. I’m a lucky woman. Aden, who is also a businessman, previously had an affair with Pitch Perfect actress Rebel Wilson with whom he has two daughters. On the other hand, Farrah previously dated Simon Saran but in April 2017, they called it quits. Farrah also shares a 9-year-old daughter Sophia (born in 2009) with her college ex-boyfriend, Derek Underwood, who sadly killed in a car accident two months before the birth if Sophia.